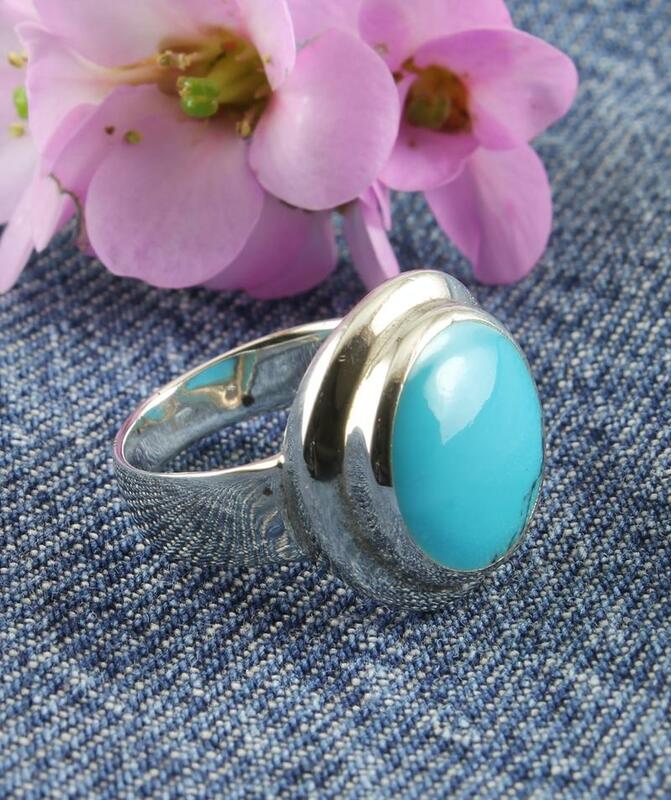 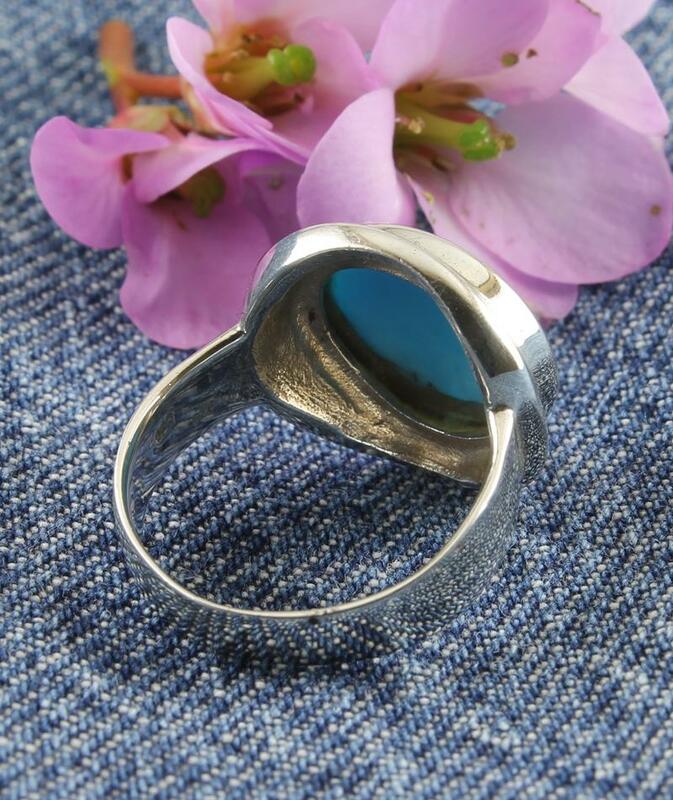 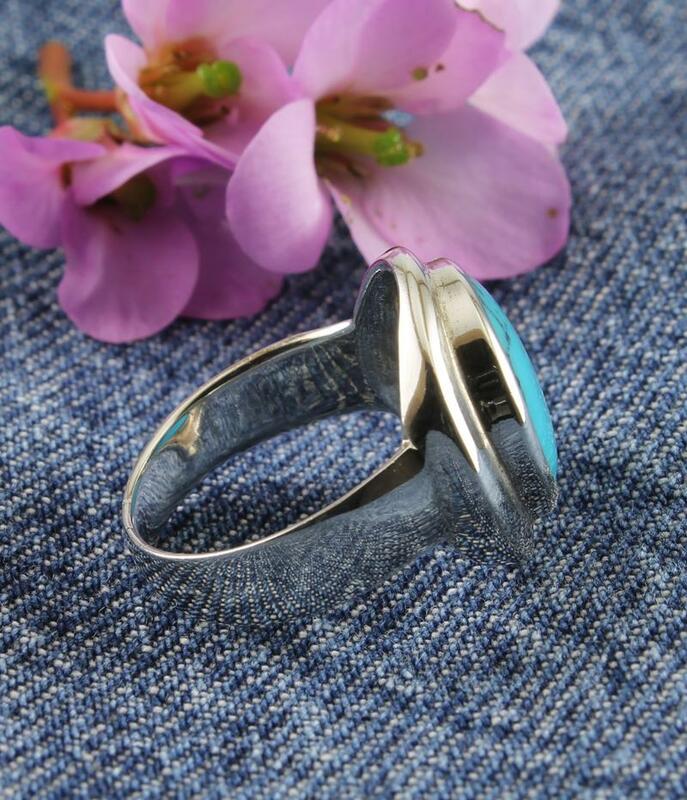 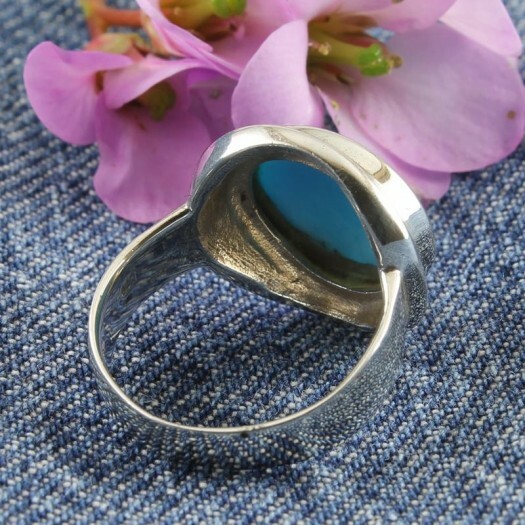 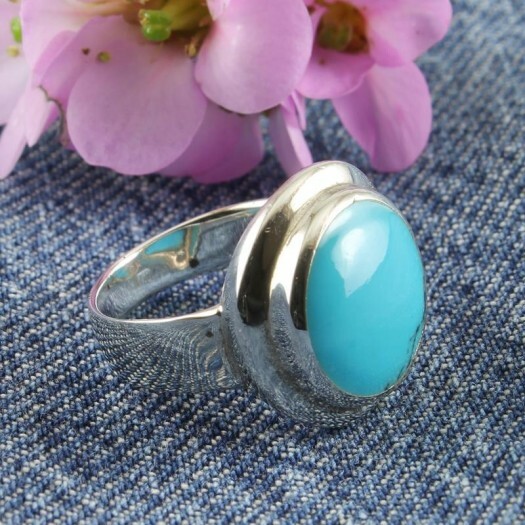 This lustrous and stunningly coloured ring features a large, polished, slightly convex, round Turquoise gemstone, bezel-set in a Sterling Silver stepped petite flange setting, placed on a plain Sterling Silver traditional court band. 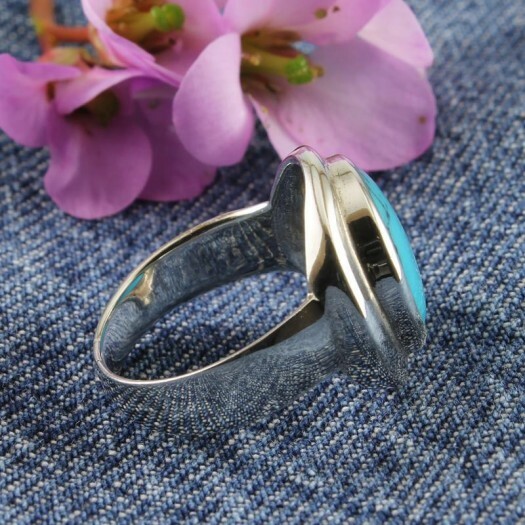 A ring of simple elegance, the petite flange provides an additional level of interest that will engage your inspired audience. 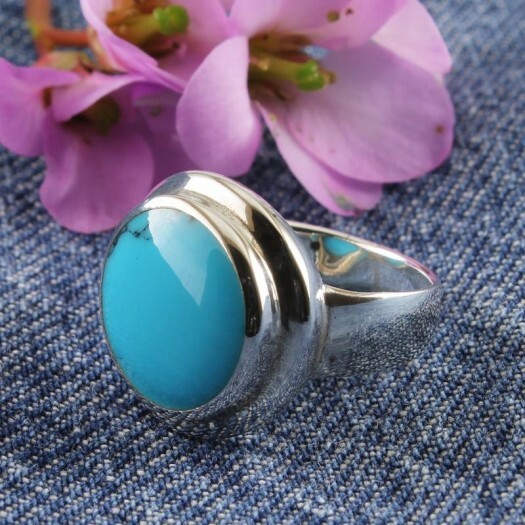 Wear It With : This ring is going to look best with black, white, navy, turquoise, or your blue denims, but it's also plain enough to accompany most outfits. 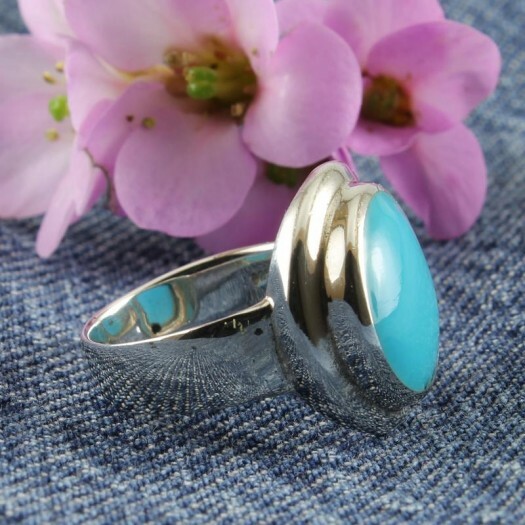 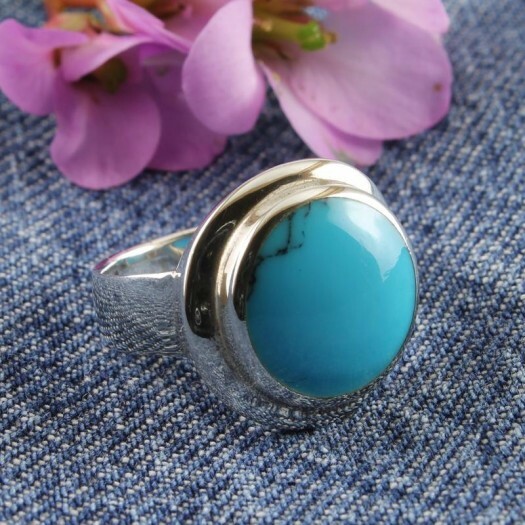 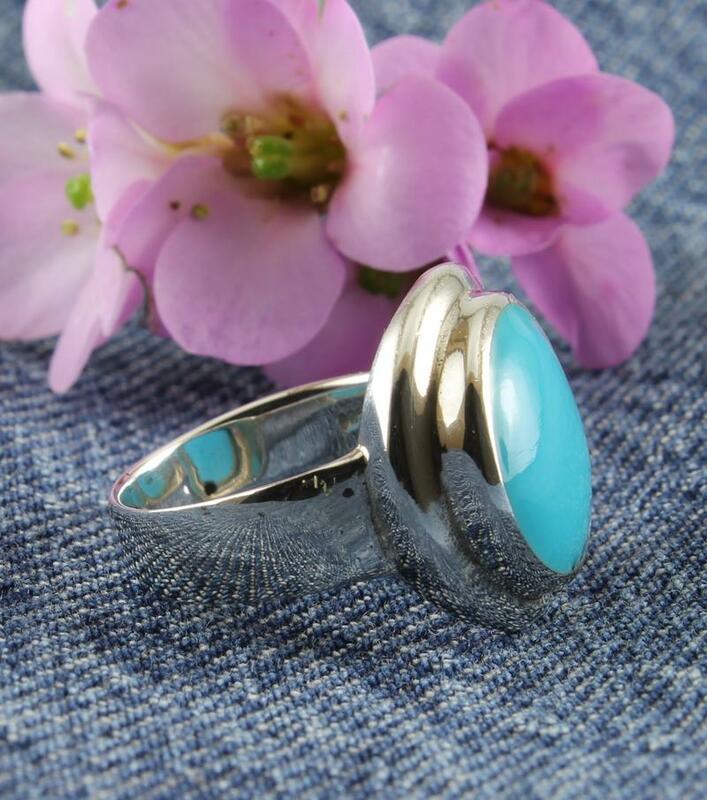 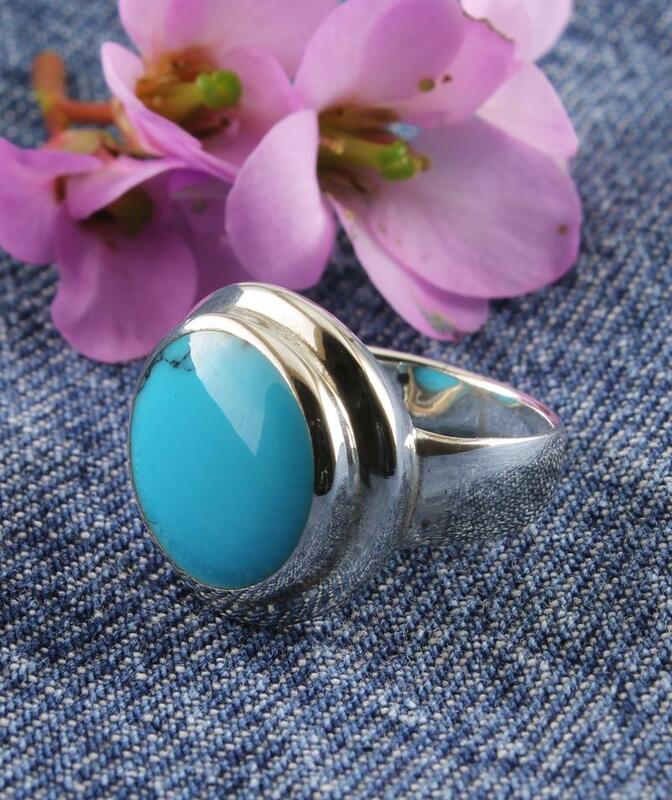 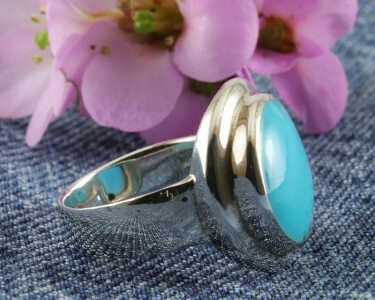 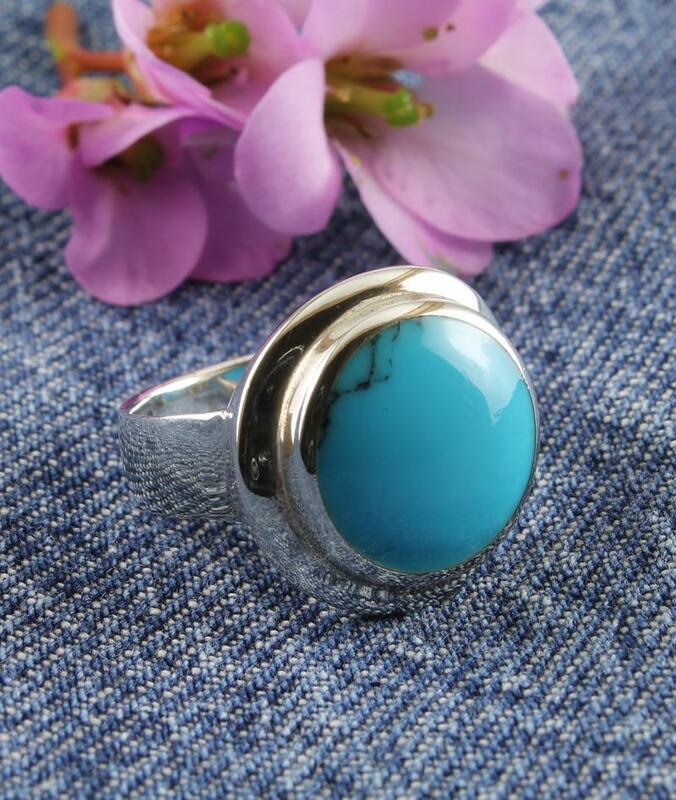 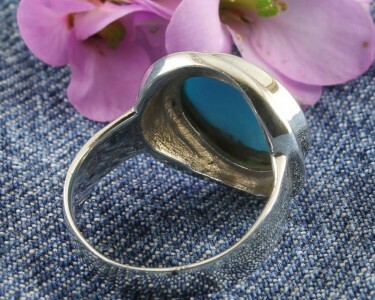 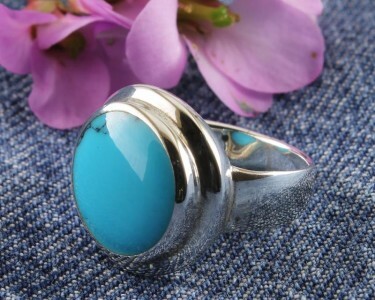 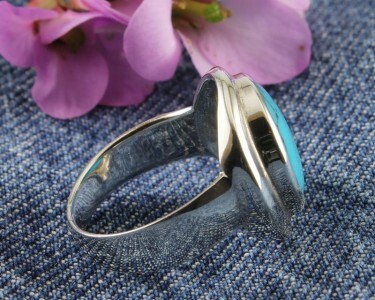 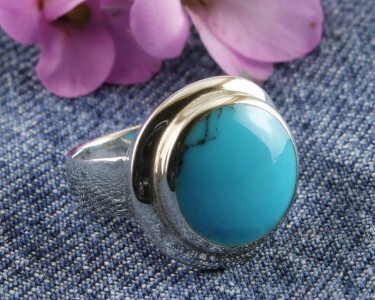 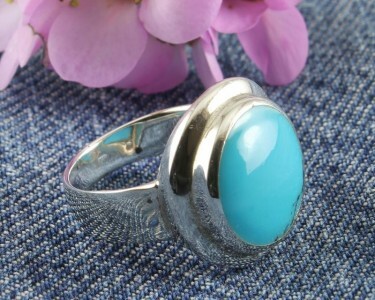 It will look especially good as a match for other Turquoise and Sterling Silver jewellery you might wear.